When it comes to keeping our bodies in shape, it can be difficult to establish good habits. In modern day society, we are surrounded by foods that are unhealthy and completely easy to access. Also, levels of exercise have dropped to incredibly low rates around America, causing an obesity epidemic that continues to grow. 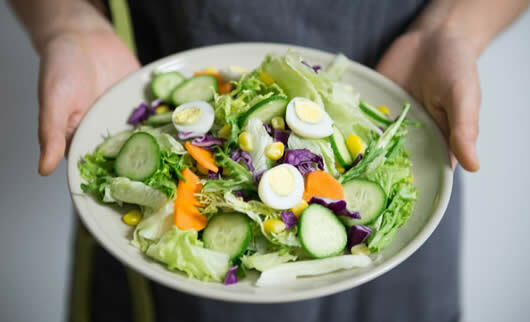 In this article, we'll help you to establish a healthy diet by giving you some tips on what you should do to establish good dietary habits and how to stick to them. One of the most important things to remember when you are beginning a diet is that it gets easier as it goes along. When you begin a diet, you have to make a lot of changes at once. Over time, you will become more and more used to the way that you should be eating as opposed to the way that you used to eat. Your choice of diet should suit your individual needs, so if you need convenience, then something like Diet-to-Go, Jenny Craig or Nutrisystem might be a good choice. You should avoid setting yourself goals for tomorrow. When we don't have an exact specific plan of action, we are much less likely to be committed. If you are planning on starting your diet in the future, don't say that you will do it tomorrow or next week. Instead, circle a date on your calendar and be sure that you are planning on being prepared for it on that date. Another important thing for you to do when you are beginning a diet is to establish some goals for what exactly you are trying to accomplish. Note your weight and set yourself a reasonable goal for losing that weight. Don't over-extend yourself by setting an impossible goal, as it will only detract you from your dedication. Take things one step at a time and make a modest goal of losing 2 to 3 pounds to start off with, and then build off of it when you accomplish that step. One important diet decision that you should make is to cut sodas out of your diet. Sodas contain high levels of sugar and plenty of calories which can really hamper your ability to lose weight from dieting. If you can't see yourself quitting drinking soda, you should at least consider making the switch to diet beverages. Don't go into your diet with unrealistic expectations. Also, be sure that you avoid fad diets, as those who try to lose weight very quickly generally end up putting the weight back on in the near future. The only way to successfully lose a little weight is to keep a healthy diet and maintain a level of exercise, so avoid any diet plans that promise to help you lose too much weight too fast. You also may want to consider telling others about your diet goals. Be sure that you let someone know that you are beginning a diet that will get down on you if you don't stick to your goals. It will help you to keep dedicated to your program. The benefits that being in shape offers are numerous. After you are into your diet and exercise program, you'll find that you have a higher level of self-confidence, a healthier body, and higher levels of energy.